Among the many paths that a student can follow, studying or working abroad is one that offers particularly strong potential for both excitement and fear. Two students made the decision to spend time in a foreign country and shared their experiences and insights from abroad. 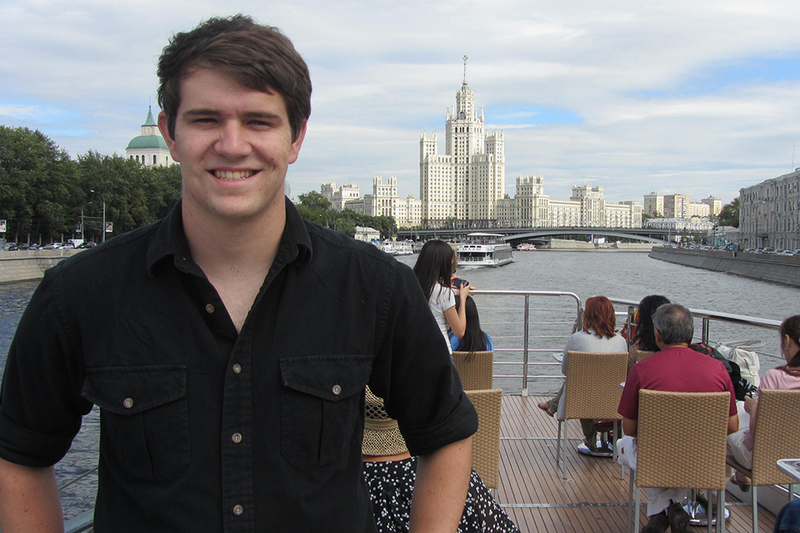 Gregory Crisler is a fourth-year ME who spent a whole year studying in Russia, first in Moscow for the LBAT in the summer of 2013 then in St. Petersburg for the fall of 2013 and the spring of 2014. He notes a number of differences in the behavior of Russians that caused him to see American behavior in a different light. Matthew Schauer, a fourth-year CS spent six months total in Japan: two in the Japanese LBAT and four interning for Nippon Telegraph and Telephone. As someone who describes himself as “passionate about Japanese culture,” it is natural that one of Matthew’s keenest pleasures was becoming accustomed to his neighborhood in Japan and getting a feel for the rhythm of everyday life. “I enjoyed very much just hanging in Tokyo and seeing what people do there,” he says. As for adjusting to this lifestyle, he says that while he is not sure if he ever got used to living in Japan, he was accustomed to the daily swing of things after a week. Though he says that he would recommend the internship experience, he did find it more difficult to reach out to people than he did during the LBAT. Still, he feels the internship was a powerful learning experience that helped him gain an eminent amount of independence in his life. Overall, he describes himself as satisfied with having familiarized himself with another corner of the world and is pleased that he now can speak with Japanese people in their native language. Both Crisler and Schauer greatly enjoyed their experiences abroad and encourage other students at Tech to break out of the self-perceived “Tech Bubble.” By interacting with others of various cultures, they feel students can learn more about themselves.